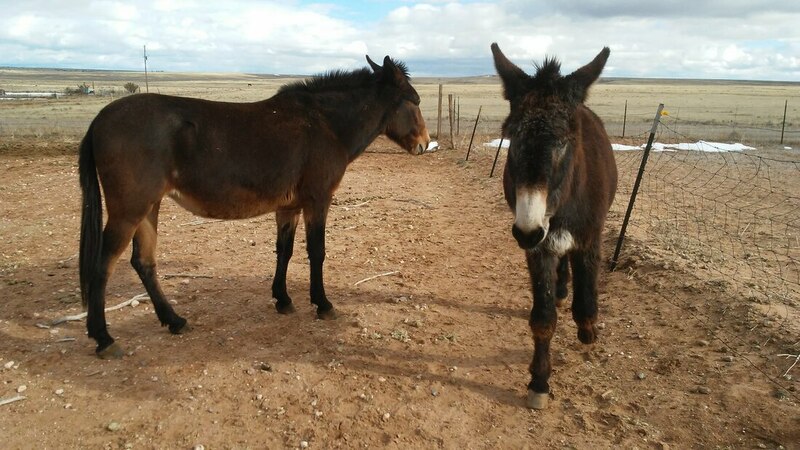 The Longears Safehouse is a NM non-profit donkey welfare and rescue organization registered in the State of New Mexico since September 5, 2012. We are also registered as a charity with the NM Attorney General. We will be back on the list of 501c3 federally tax exempt organizations shortly. ​Please note: We are NOT a horse rescue within the meaning of Section 77-2-30 NMSA 1978. Accordingly, and as explicitly advised in an official letter from the NM Livestock Board from 2018, we do not require to be licensed as a horse rescue or retirement facility with the NM Livestock Board in order to operate and fundraise for our cause in the State of New Mexico. However, our standards of care and adoption broadly reflect and in some respects exceed the requirements for horse rescues and retirement facilities in NM with special consideration of the differences between horses and donkeys and the specific needs of the latter. Unfortunately, donkeys have been little researched thus far and are probably one of the most misunderstood species of livestock, especially since most people, including equine professionals and horse owners, still consider donkeys as nothing but a breed of horse with long ears and a funny voice. Such misunderstanding about the very nature of donkeys, who evolved rather differently from horses, will inevitably lead to misunderstandings of their behavior and nutritional needs as well. As a donkey rescue, it is part of our mission to educate the public in that regard. Our sources of information about donkeys, their natural behaviors, and their specific mental and physical needs include, besides direct observation and information provided by other donkey shelters or sanctuaries, donkey owners and caretakers (including TLS adopters and foster homes), the two top internationally recognized research institutions in the field: the Donkey Sanctuary of England and its affiliates and associated professionals, as well as the annual Donkey Welfare Symposium hosted by the UC Davis veterinary school, which assembles a colorful range of donkey professionals from all over the world each year to give presentations and exchange information about donkey care, behavior, management, and training. When we make decisions about care, rescue, training, rehabilitation or adoption of donkeys, we rely on these resources and only to a limited extent, as needed to accomplish our care goals, on the opinions of local professionals who do not specialize in donkeys and are unfamiliar with the resources we use. We are also familiar with the guidelines of the AAEP regarding horse rescues and regarding the care and maintenance of horses and follow them as appropriate.